On Tuesday, Occupy MN will occupy their third foreclosed home in Minneapolis. 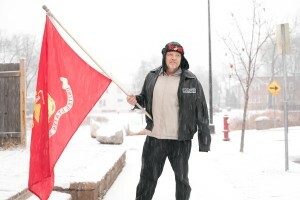 This time the activist group will come to the aid of Bobby Hull, a Vietnam veteran with the Marine Corp., who first began living in his South Minneapolis home when his mother bought it in 1968. Hull has had no luck gaining a loan modification with Bank of America. The bank recently bought the home back at a sheriff’s sale for $83,700, and Hull and his family face a February 2012 eviction from their childhood home, in the dead of a Minnesota winter.